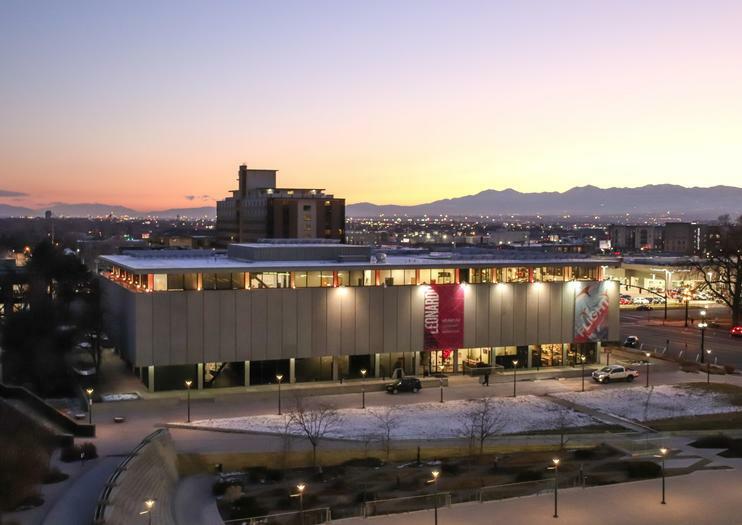 Opened in 2011 on Salt Lake City’s Library Square, this museum of science, art, and technology is named after Leonardo da Vinci, Italy's famous painter, mathematician, and inventor. Its mission is to inspire visitors to explore the creative side of science and technology through interactive exhibits. Visitors tinker with inventions in Leonardo’s Workshop, create works of art in Leonardo’s Studio, and explore the basics of electricity, genetics, and chemistry in the Laboratory. In addition to these permanent exhibits, the Leonardo also features world-class traveling exhibitions such as Body Worlds and replicas of Leonardo da Vinci’s inventions. Several special programs and activities are available for children including art and invention workshops and summer camps. Not just for kids, the Leonardo also sponsors programs for adults such as Leo Libations, a gourmet food and wine pairing events, the Leonardo After Dark, and a monthly trivia night. This one-of-a-kind science and technology museum is located in the heart of Salt Lake City. The on-site Salt Bistro restaurant offers a family-friendly menu in a casual atmosphere. The Leonardo is wheelchair and stroller accessible; manual wheelchairs and strollers are available for rent. The Leonardo museum is located in downtown Salt Lake City’s Library Square. The Leonardo is easily accessed via TRAX, Salt Lake City’s light rail system, bus, and bike. The museum is conveniently located just south of the 400 South Library Square TRAX stop. There is metered street parking and several paid lots nearby. The Leonardo Museum is open daily. The museum occasionally offers special after-hours programs and events such as The Leonardo After Dark evening series and Leonardo After Hours discussions and events. The Leonardo is popular with school groups; visit in the late afternoon or on Sundays to avoid school crowds. In addition to being home to the Leonardo museum and Salt Lake City’s Main Library, Library Square hosts a variety of community festivals and live music events. This pubic plaza is a popular meeting spot for locals and a great place to relax with a book or people-watch. Don’t miss the gardens and the panoramic views of the Salt Lake Valley from the library’s rooftop terrace.